Every goose hunter may experience frustrating days in the field. You continue trying different tactics, but the geese will not cooperate. Sometimes it is the forgotten small details that make the difference between a full limit and an empty bag. Continue reading to discover the goose hunting tips that can save your season! Take the time to scout and your odds of success increase dramatically. Pre-hunt scouting is essential to your goose hunting success. Locating the fields geese are using is the first step. Geese can be selective in their feeding areas within a particular field. To increase your odds of a successful hunt, you need to set your focus on those certain areas of that field. Take the time to scout and your odds of success increase dramatically. Once you have located the geese you are going to hunt, concealment should be your next focus. Determine what natural cover, if any, is available to use as a blind or blind material. If there is no natural cover available, a portable layout blind works great in a field. Remember to camouflage it with natural vegetation from the field you are hunting. Some hunters have issues by using a new layout blind. A new blind often has a bright, crisp camouflage pattern. That new bright pattern can stand out to the geese. Rubbing mud on a new blind can dull the colors to a more natural tone. If your blind is noticeable to you, it is certainly noticeable to the geese. One of the mistakes hunters can make is not remaining completely still in the blind until it is time for the shot. The natural tendency is to look up at the geese. If you look up to watch the geese, the geese can see your movements, which can cause them to spook. Hunters have tried everything from “grocery sack” decoys to full mounted birds to decoy geese. They can all be effective, but they are more effective when they are spread out. Many times hunters put their decoys so close together that the geese will only hover and then drift away, because there is no place for them to land. Canada geese have a wingspan from four to six feet. You never see geese flying into each other on landing or takeoff, even when they land into a group of geese and not an open area between large groups. If you space your decoys a minimum of six feet apart, you are providing a more inviting opportunity for the geese to land within your spread. When laying out your decoy spread, you want your decoys to communicate details and characteristics about the area. Your decoys should tell the location of the food, the locations without food, and convey to the geese where they can feel safe and secure. Feeder decoys communicate food and the lack of food can be expressed with an active decoy group. Letting the geese know where there is no food is important as geese want to land near the dinner table. Placing active decoys in the locations you want the geese to ignore can steer the flock right to the dinner table. Geese will rest and sleep when they feel safe and secure. Using sleeper and rester decoys can convince the flock to commit to your spread. Many hunters reserve a large amount of their decoy spread for full-body decoys. When setting up on water or a sandbar, decoy movement can be crucial to the success of your hunt. Motion-based, full-body decoys may not allow enough movement to entice the geese. On a water set, minimize the full-body decoys and add in more floaters. If the current is flowing, the movement of the floating decoys can be the key to filling limits. In areas where hunting pressure is intense, offering a different picture to the geese can be the key to success. When the geese are seeing large decoy spread after large decoy spread, downsize to a spread of only a couple dozen decoys and minimize your calling. You want to stand out from the crowd. Giving a different look to your decoys can boost the curiosity of the geese. When the fields ice up and cover with snow, typical goose behavior is to lie down after landing. Hunters can key in on this behavior by using shell decoys or placing full-body decoys, without bases, on the ground. Add in a couple of full-bodies with bases to emulate geese that just landed. With a snow-covered field, dig up spots of dirt and vegetation to represent actively feeding geese. Hunters can effectively call geese anywhere just by knowing the basics. A lot of goose gunners amp up their calling on still, foggy days. Doing the opposite may improve your odds. On foggy days, switch to flagging, instead of calling, when you hear the geese, not when you see them. When the geese are near and approaching your spread, flagging can be especially effective in foggy conditions. Goose calls are comparable to duck calls. Geese can be particular about pitch and tone. Carrying different calls gives you the ability to offer the birds different sounds. 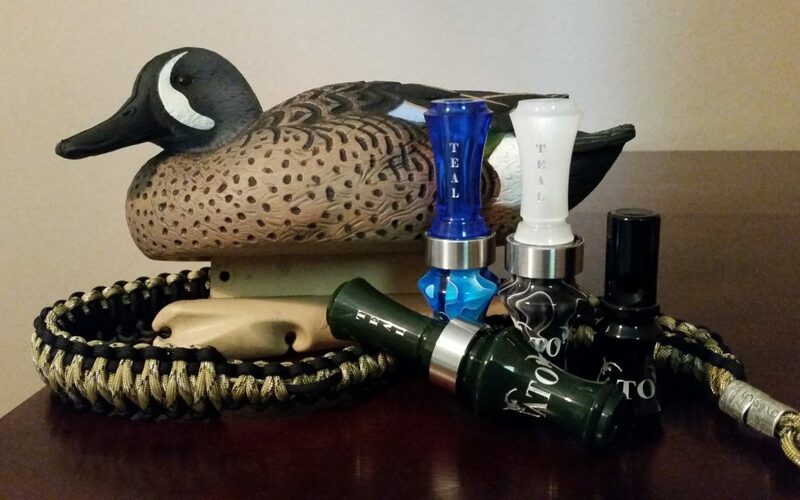 An acrylic short reed goose call produces a loud high-pitched, sharp tone for field hunting or windy days. A wooden short reed typically creates a deeper, softer, more natural tone. Having both of these calls at hand allows you to offer different sounds for changing conditions. You do not have to be a world champion or able to create an abundance of crazy notes and sounds to effectively call Canada geese. Many times, simple calling can lead to the best outcome. Hunters can effectively call geese anywhere just by knowing the basics. Simple moaning and clucking, varying the speed, and following a natural rhythm will convince the smartest geese to commit. Learn to call soft and loud to cover any hunting situation. Paying attention to these details and utilizing these suggestions can improve your chances of avoiding frustrating and unproductive days in the field while goose hunting. When geese just will not cooperate after trying different tactics, examine every part of your set-up. Many times a small, simple adjustment can save your hunt.